Dr. Bruce Bachus is a renowned pulmonologist from Phoenix, Arizona. He is affiliated with Banner Good Samaritan Medical Center. He got his medical degree in 1971 from University of Nebraska College of Medicine and he completed his internship and residency at the Nebr Hospital until 1973. He holds two American Board certifications, one in Internal Medicine and one in Pulmonary Disease. 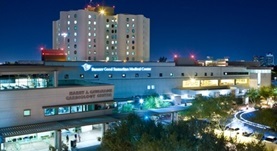 Dr. Bachus is affiliated with several hospitals including Banner - University Medical Center Phoenix.